INSEE Cement Sri Lanka celebrated the INSEE Ecocycle Lanka spin-off launch ceremony on 2 July at the Ecocycle Pre-processing Facility (PPF) in Katunayake followed by a post-launch function at INSEE Puttalam Cement Plant in the evening. 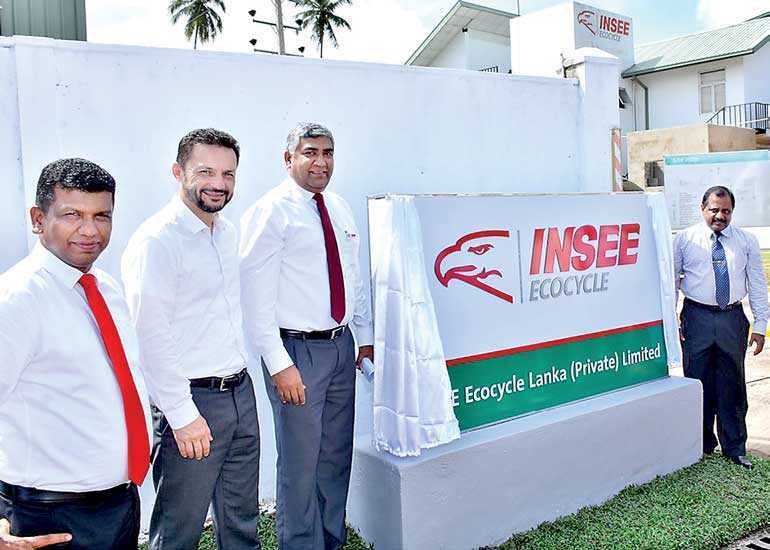 INSEE Ecocycle Lanka has stepped into one of the most important milestones in its journey. The company now operates as a separate legal entity and a fully owned subsidiary of INSEE Cement Sri Lanka. INSEE Cement Sri Lanka CEO Nandana Ekanayake, BOI Katunayake Export Processing Executive Zone Director Eng. M.K.D. 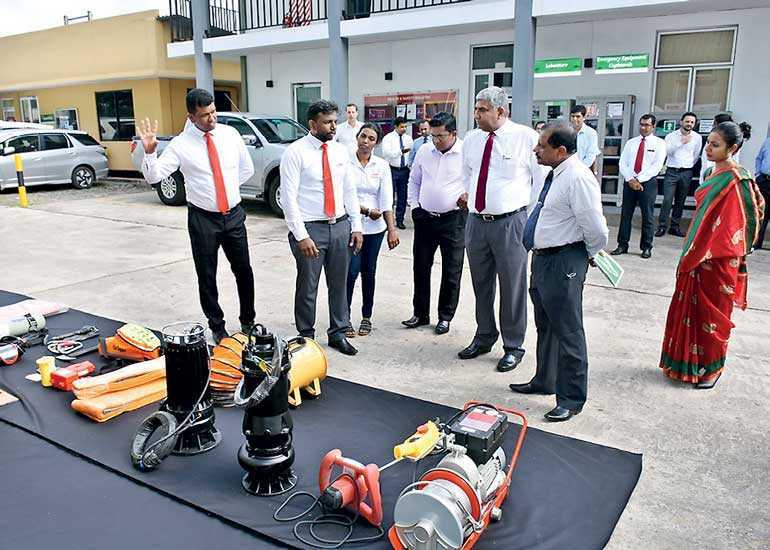 Lawrence and INSEE Ecocycle Lanka General Manager Sanjeewa Chulakumara inaugurated the event together with the leadership team comprising Executive Committee directors and senior management of INSEE Cement, Sri Lanka. Fifteen years ago, INSEE Ecocycle started its operations in a small way. At the outset waste management was not as ‘in demand’ as it is now. Then, the consequences of not having waste management was not an important priority for ordinary Sri Lankans. In those days the waste that needed to be disposed of was mostly rice/paddy husk. In fact, the first waste disposal that was ‘co-processed’ was few tires and paddy husk. Ecocycle started managing industrial waste with one customer and the numbers have gradually increased. Today INSEE Ecocycle Lanka has over 500 customers. Most of them are big local conglomerates, but nearly 40% are Government departments and bodies such as the Board of Investment (BOI) and Ministry of Health. The company has evolved steadily, and last year launched INSEE Ecocycle with Siam City Cement Group. The founding leaders of the Ecocycle business who ventured into this industry at a time when there was no great demand and to invest generously meant that they were visionaries with a lot of courage. Ecocycle is mostly engaged in industrial waste management giving corporates the option of disposing their waste in an environmentally friendly manner, leaving the liability to INSEE Ecocycle.